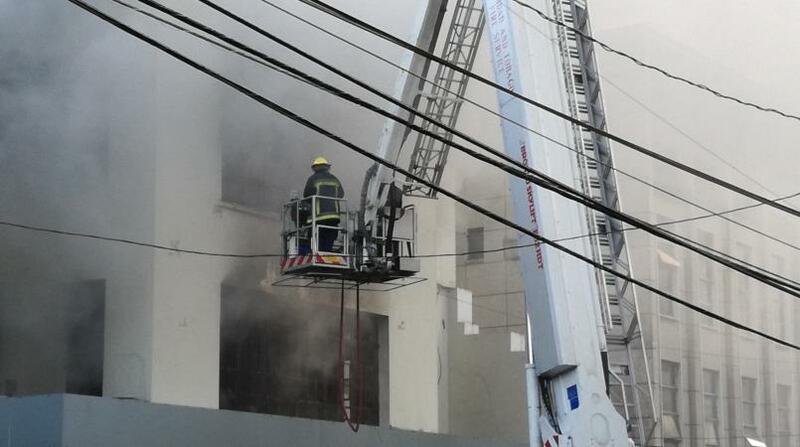 Update: Fire officials were able to quell a fire which occurred at a Port of Spain building for the second time in less than two months. According to reports, the fire occurred at a building along Independence Square around 2:30 pm. Emergency responders rushed to the scene and the fire was contained by firefighters later that evening. The building, which housed several offices including the Ministry of Social Development and Family Services, was previously destroyed by fire on February 22, 2017. The building is owned by Ansa McAl. There are as yet no details regarding any injuries. Drivers are advised to avoid this area due to possible heavy traffic. More as this story is updated; please refresh this page for updates.